Welcome to the monthly e-bulletin of the South Asia Media Solidarity Network (SAMSN). The next bulletin will be sent on February 15, 2017, and your inputs are most welcome. 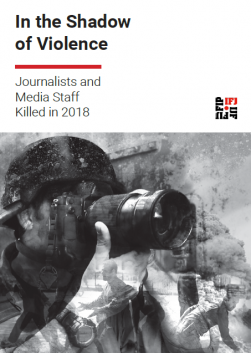 93 journalists and media professionals were killed in 2016 in work-related incidents, according to new statistics published by IFJ, which represents 600.000 members in 140 countries. The report, published on December 31, 2016, enlists 122 journalists and media staff who were killed including 29 who died in two plane crashes. The killings, including targeted murders, bomb attacks and crossfire incidents span 23 countries in Africa, Asia Pacific, the Americas, Europe and the Middle East and Arab World. Although the figures for 2016 are down on previous years the IFJ has warned against complacency citing reports of rising threats, intimidation and self-censorship as evidence that attacks on freedom of expression remain at critical levels. In South Asia, Afghanistan saw 13 journalists killed, only behind Iraq where 15 were killed. India and Pakistan each saw the murder of 5 journalists as the region lost 24 journalists in 2016. Download the interactive PDF report of IFJ Killed List 2016 here. Read more here. On December 15, 53-year-old Mohammad Nasir Mudasir, station manager and senior program organiser for Mili Payam or National Message Radio Station and founding member of IFJ affiliate Afghan Independent Journalists Association (AIJA), was gunned down in Muhammed Agha District of Logar Province southern Kabul. Two unidentified armed men opened fire on Mudasir as he was leaving his workplace at the radio station to go home. Mudasir received several bullets and died on the spot. Mudasir had repeatedly received persistent threats over the past two years. Read more here. India remains a dangerous country for journalists even though there is no major war. Since December 30, 2016, three journalists have lost their lives in India – one each in Bihar, Jharkhand and Tamil Nadu. On January 9, an armed gang reportedly assaulted S Karthigal Selvan, 43, a weekly magazine journalist, near the Tamil Nadu Hotel on the outskirts of Sattur in Tamil Nadu state, south India and left him dead in a pool of blood. Selvan was a partner in the leased restaurant of the hotel. Six people have surrendered to the police in connection with the case. Read more here. On January 3, Brajkishore Kumar Brajesh, who worked for a Hindi daily newspaper, was shot dead in Samastipur district of Bihar. He was shot dead by five or six assailants near a brick kiln in Salkhani village. Although the police suspect an old enmity as a reason for the killing, it has yet to be ascertained. Earlier on December 30, Dainik Jagran journalist Hari Prakash was found dead in Jharkhand’s Hazaribagh district. The family claimed that he was murdered after his body was found two days after he went missing. Read more here. Sri Lankan Prime Minister’s Security Division on January 7 seized a drone camera used by the Hiru TV to report on a demonstration in Mirijjawila, Hambantota. Hiru TV used the drone camera to film the demonstration against the inauguration of the Sri Lanka–China industrial zone in Hambantota, which was attended by Prime Minister Ranil Wickramasinghe. During the demonstration the police fired tear gas shells and launched water canons to disperse the demonstrators. The camera was returned to Hiru TV after a few hours but without the memory card containing the recording of the incidents. Read more here. Unidentified attackers shot dead 37-year-old Muhammad Jan Sumalani, a reporter of Urdu language Daily Qudrat and Brahui language Daily Talar Quetta, in Kalat, Balochistan province in southwestern Pakistan on January 12. He was also a member of the Ahmad Yar Khan Press Club, Kalat. He was intercepted while on his way home and two attackers opened fire on him, killing him on the spot. The motive for the killing is not yet known and no group has claimed responsibility. Read more here. Imdad Phulpoto, the station head of SAMAA TV in Sukkur of Sindh Province, was forcibly detained on the morning of January 5 by dozens of police officers without any warrant or legal document. He was released later that evening and said that he was tortured, taken around the city throughout the day and was neither questioned nor given a reason for his detention. Imdad had done several stories exposing corrupt practices of the opposition leader in the National Assembly. Read more here. Haider, also a renowned poet, human rights activist and lecturer at Fatima Jinnah University, is among nine activists reported missing in first week of 2017. Other missing were reportedly bloggers and active on social media, some of who maintained leftist secular views. Read more here. Truth and justice continue to be illusive not only to Lasantha but to thousands of Sri Lankans, two years after a regime change. Seeking justice for Lasantha and other media colleagues continues to prove a daunting task. Despite a new government which came into office with a firm pledge to pursue justice, not a single investigation is complete, though new twists are being added to each bloodied tale. More here. Everyone who regularly follows current affairs would know the state of freedom of press in Bangladesh. Journalists in this country face irrational hurdles, indeed on a regular basis. 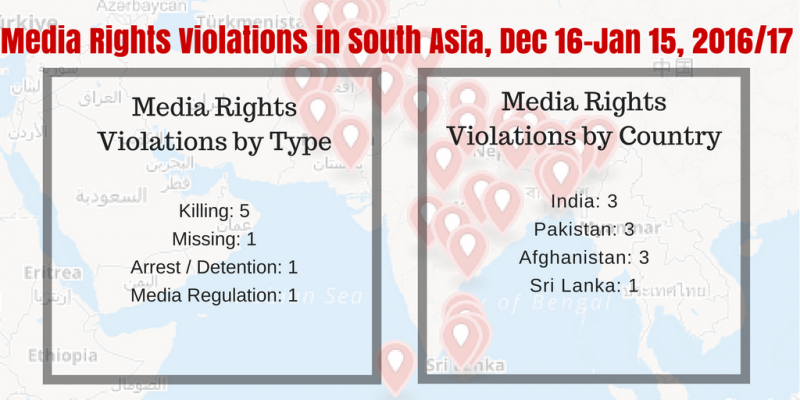 South Asian countries in recent years have seen several arrests and continuous lawsuits filed against editors and reporters on different charges. More here. 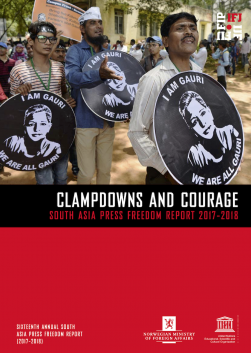 In 2016, six journalists lost their lives in India and the hitherto unremitting spiral of impunity that shrouds each death is a chilling indicator of the overall state of press freedom in India, touted as the world’s largest democracy. In all these killings, some arrests have been made, thanks in some part to better media attention and protests by local journalist bodies, especially after the macabre death of Jagendra Singh in Shahjahanpur in Uttar Pradesh in 2015. But with poor investigation and sluggish follow-up, the current near-zero conviction rate will remain and the political and business mafias that sponsor most of these killings will get away scot free, yet again. More here. Several international media organizations give their employees basic first-aid training which helps save lives in the field. Pakistani media organizations focus on how to protect oneself in dangerous situations like firing, riots and terror attacks, which is great but that may not be enough. As Amir Ahmed, senior journalist and Director News, Aaj News said, “We have seen that many people die of injuries that would not have been life threatening if timely first aid had been given. These people could have been saved if someone had been trained to provide first aid.” More here. The new report by Digital Rights Foundation based on qualitative interviews with female journalists working in Pakistan, finds that the experience of surveillance for female journalists is gendered and is thus different from their male counterparts. While there is no conclusive evidence of whether women face more surveillance, the nature that the surveillance takes in the form of sexualised threats, attacks on character and appearance. This gendered form of surveillance is true for both state and social surveillance. Female journalists were chosen as subjects of this pilot study based on their unique position since journalists have increased visibility in both online and offline spaces. Read more here and download the PDF report here. Journalism is a profession that attracts both sexes, but social taboos and hostile office climates have kept the numbers of women working in Bangladesh’s media sector dismally low. Still, a new generation of women is stepping up, with the support of their path-breaking colleagues. According to an October 2016 report, women journalists in Bangladesh’s media industry account for only 5% in print and 25% in electronic media. Braving these odds and obstacles, young female graduates are increasingly joining the profession. Read more here. Independent Afghan TV news station TOLO picked up the 2016 Agence France-Presse Kate Webb prize for its fearless reporting in one of the world’s most dangerous countries. The prize, named after a crusading AFP reporter who died in 2007, was given to the privately-run station, which saw seven of its employees killed in a Taliban attack in January 2016. It honours journalists working in difficult conditions in Asia and is named after Webb, who died at the age of 64 following a career covering wars and other hotspots, including Afghanistan. Read more here. 2016 saw the courts being tested on a range issues concerning freedom of expression. It was a year in which cases of sedition and defamation, and of censorship of films and other arts reached record numbers. Significant orders and rulings in the Supreme Court and various High Courts this year spanned the gamut of conflicts between state and media, state and artist, state appointed censor board and film makers, legislature and media, state and political opposition, and the conflict between societal censure and free expression, the right to free speech of a citizen versus another’s right to take offence. Courts also adjudicated on the challenges opening up on the digital front, with mobile internet bans being imposed under Section 144 of the Criminal Procedure Code. Read more here. On the evening of 13 May, the 46-year-old Ranjan had made it barely a kilometre from his office when five assailants on motorcycles gunned him down at point-blank range. Drenched in blood, he was taken to the nearest hospital, where he was declared dead on arrival. A post-mortem found three bullets inside Ranjan’s body—one was found in his liver, another had pierced his neck, and one had hit him right between his eyebrows… The murder of Rajdeo Ranjan and the sordid reality of small-town journalism in India. Read more here. 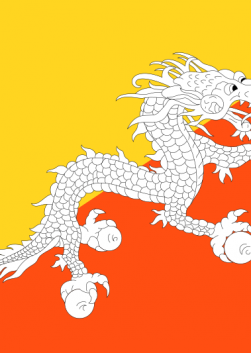 At a time when the freedom of the press is increasingly imperilled across South Asia (and across the world), the suspension of Himal Southasian is particularly alarming. The rise of nationalist movements in neighboring countries has led to a range of assaults on civil liberties, from the “beef bans” designed to marginalize non-Hindus in India and the overreaching blasphemy and cyber-crime laws in Pakistan to the wave of machete attacks that has resulted in the deaths of nearly two dozen secular and atheist writers in Bangladesh. Himal is not the first South Asian publication to experience a methodical stifling at the hands of the state. Read more here. Nepal observed a relatively peaceful atmosphere for media in 2016 with a significant decline of the number of press freedom violations. Only 25 incidents of press freedom violations were recorded during 2016 as against 83 in 2015. Despite having the much-awaited constitution in place, political stability was threatened especially due to political parties’ differences over provincial demarcation, which undoubtedly kept media under fear and intimidation. Download the report here. For the first time in more than a decade, Maldivian journalists risk jail for critical reporting. In December, the criminal court found Raajje TV journalists, Mohamed Wisam, 21, and Leevan Ali Naseer, 20, guilty of obstructing police officers. They were arrested while reporting on a bomb scare in Malé in November 2015. Prosecutors have asked for a prison sentence of four months and 24 days, but the judge, for unspecified reasons, has postponed their sentencing to January 24. Wisam is also standing trial on a second charge of obstructing police officers. He was arrested along with 29-year-old cameraman, Adam Zareer, while covering an anti-government protest in March 2015. Wisam’s second trial is ongoing, while a verdict is expected in Zareer’s case on Monday. Wisam, Leevan and Zareer share in their own words why they continue to report despite the risks they face. Read more here.